Merrifield Real Estate is a company with a long history, some 80 years to be precise. During this time we have developed a strong relationship with the people of Albany and the Great Southern Region. 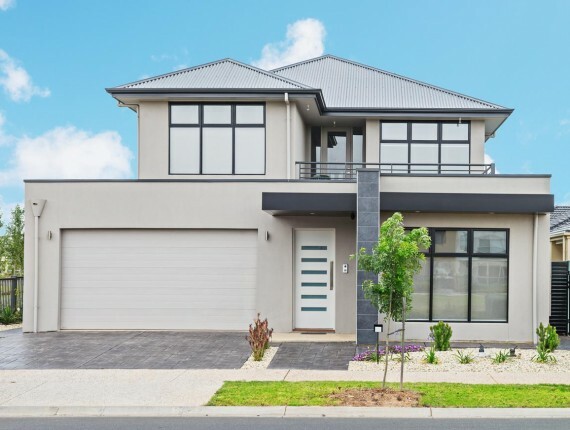 As an independent real estate agent, Merrifield Real Estate does not rely on the direction of a head office interstate, which usually comes from association with a large national or international franchised brand name, we are therefore required to work harder and seek strength and knowledge within ourselves. We do this in part by our membership and involvement with others, such as REIWA, ACCI and WACCI who ensure that we are constantly ahead of the statutory and regulatory changes effecting the real estate industry. We also do this through the creation of a work environment which fosters and values, continuous improvement and team effort. Our pro-active nature ensures that we are always on the front foot and able to advise our clients correctly for their specific situation, giving them a distinct advantage over our competition. Merrifield Real Estate is one of the few real estate agencies in the region which actively fosters and grows a client database of pre-registered clients seeking to buy or sell real estate in the region. Our database is ever expanding and a tool which we use to inform, update and market through to a targeted audience. The tool is so effective, that in the last two years we have seen that more than thirty percent of ALL our sales come directly from those people on our pre-registered database. Word of mouth and referrals are one of our greatest strengths and our biggest compliment. The testimonials we receive are a sign of a job well done and that people have confidence in our staff, our marketing and the systems we employ to get the best for them. Merrifield Real Estate uses a vast array of methods to advertise and market its client’s properties which include traditional methods such as newspapers, the web and signage but we also employ radio, social media communications and networking. But our greatest strength is no doubt that we give active consideration to your property – we ensure that professional photographs are taken, accurate descriptions are provided and the property’s target market is identified. Newspapers – The Albany Advertiser is the local newspaper of the region with credibility and consistency in its real estate coverage. Web – Merrifield.com.au is one of the most current, informative and innovative real estate web sites where people can find all the property information they are looking for. Radio – Radio reaches virtually everyone everywhere – at home, in the office, car or even while surfing the web. Social Media – Marketing real estate is generally about telling a story and the many social media outlets available today allow the team at Merrifield to tell your story to a broader audience, in a safe and familiar social media setting such as Facebook and LinkedIn. Signage – Over 1200mm x 900mm signs are visible and standout when driving around looking for property. Each sign has the office number and sales representative’s mobile number for each contact. Photography – We employ a local photographer to take photos to a high standard. This enables clients to see various photos of the property and be well informed prior to making an inspection time. Located at 258 York Street – Albany, the Merrifield Real Estate office is in a prime location, next to the Amcal Chemist (open 7 days) and close to NAB and Australia Post. The easy parking options in the central location make it easy for clients to meet our staff and for passersby to view our prominent window display, which has been rated one of the best in Albany. Our office has a phone system that transfers calls after office hours. You can select whom you wish to speak to and your call will automatically be transferred to their mobile phone, making certain that no enquiry gets missed. Call Jeremy Stewart 0439 940 976, Colin Montefiore 0428 936 631, Kevin Marshall 0408 936 380 or Kyle Sproxton 0438 880 439 NOW to discuss how we may be of assistance to you.